By partnering with the Arbor Day Foundation, your organization will be part of a worldwide movement to improve water and air quality, slow climate change, and reduce poverty by planting trees. You will also have a partner who is invested in you—committed to understanding your corporate social responsibility goals, the need for customer and employee engagement, and the importance of environmental sustainability to your triple bottom line. Get an overview of how other companies have partnered with us. See why companies choose to partner with the Arbor Day Foundation. 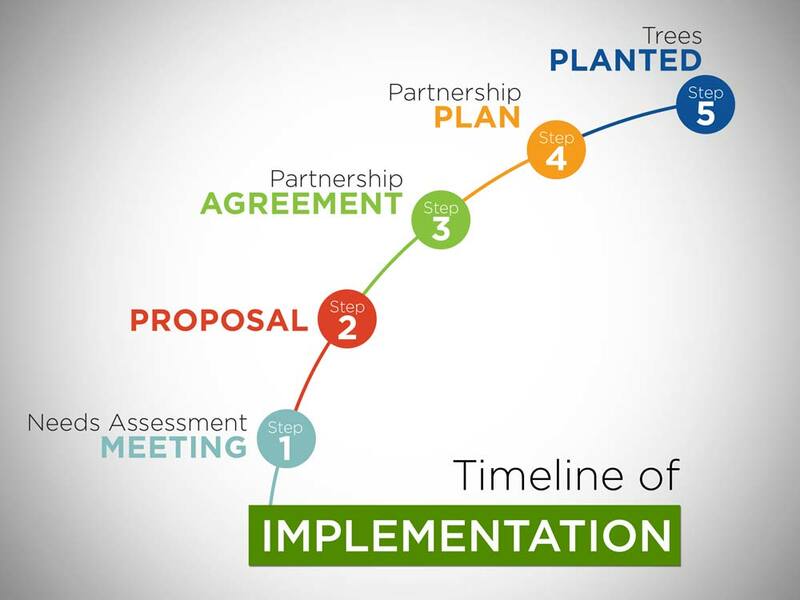 Our timeline of partner project implementation is broken down into five seamless steps, and we will work closely with you throughout the entire process.